If you’ve recently purchased a luxury watch, then no doubt you’ve been researching for hours about things like brands, types, prices, etc. So what’s the next step? Well, showing it off, of course. However, if you don’t wear it properly, then all that research goes to waste. So if you want your watch to be the center of attention, here are some tips to help you wear it the right way. Your watch should be the perfect size for your wrist. Try not to buy one that is too big or too small. If you find that it is not the right size, you can always take it to a local watchmaker to add or remove links from it. Your watch should be able to slide down your wrist one inch, but no more. If it slides more than that, it is too loose. However, if it does not slide around your arm as your arm moves and leaves an imprint on it, then it is too tight. Which wrist should your watch be worn on? Typically, luxury watches are worn on the hand opposite of your dominate hand. The watch should be place right at the tip of the ulna, which is the bone on your wrist that sticks out. However, some people like to twist the dial of their watch slightly towards them. When wearing a shirt with cuffs, you may wonder if you should wear it inside or outside the cuff. Well, do not wear it outside or on top of your cuff. When standing with your arms at your side, your watch should be mostly covered by your cuff. If you wear it outside it may appear as though you are trying too hard to show it off. When your arms are folded, or bent perpendicular to the floor, that is when your watch should peak out of your cuff. This is common if you are working at your desk. When you wear your watch is dependent on the kind you own. A Patek Philippe Calatrava is a dress watch and should be worn at formal events with a suit. Dress watches usually have leather straps and a gold case. The dial is simple and not more than 41mm in diameter. The OMEGA Seamaster is a sports watch and should be worn during deep dives or physical activities. Sports watches have stainless steel or rubber bracelets. A sport watch can also be worn as an everyday watch. 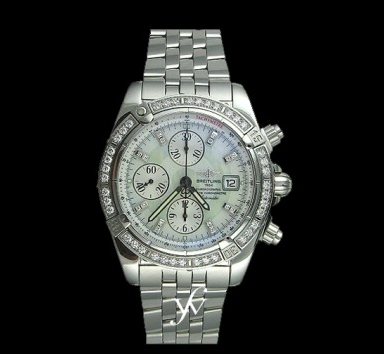 Usual everyday watches are stainless steel and can be matched with all casual clothing. After spending all that money on a luxury watch, be sure to show it off right. To find the watch that’s right for you, check out the stock at Finest Watches.